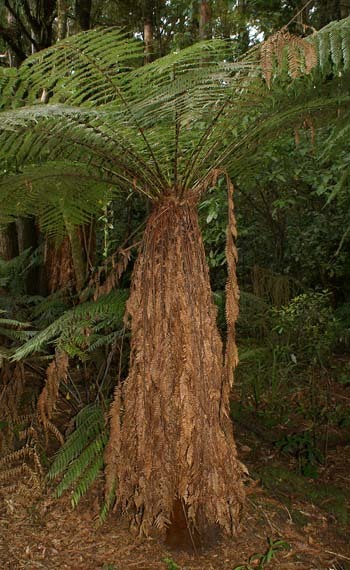 Wheki ponga is one of the most easily recognised species of tree fern in New Zealand. It is very distinctive with its thick, sturdy trunk covered with densely matted, fibrous roots, and the prominent skirt of dead fronds that gird its trunk just below the crown. The trunk is 30-60 cm in diameter in its lower part. The individual fronds are from 1.2-2.4 m long by 40-60 cm wide. They are quite harsh to the touch. The upper surfaces are green to dark green. Maori used to use the trunks of Wheki ponga for the construction of food store houses, because the thick, fibrous trunks made them almost impenetrable to rats. Trebrown bahçe fidanlıklar, sizin Dicksonia fibrosa eğrelti sporları kullanılabilir olması sadece £2.51 paket başına! Şimdi eğrelti sporları satın hala mevcut iken! Dicksonia fibrosa ranges from sea-level to 760 m, and grows in lowland, hilly and lower montane forests in the North Island from Tauranga and the mid-Waikato southwards. In the South Island it is more common from the Marlborough Sounds and down the western side of the island, being local in drier eastern areas. 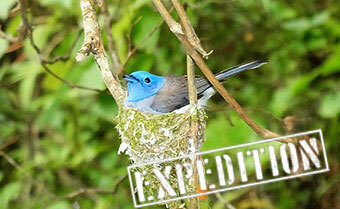 It also occurs on the Chatham Islands.